A lava roadblock covers a residential road caused by the Kilauea volcano eruption at Leilani Estates May 12, 2018 in Pahoa, Hawaii. 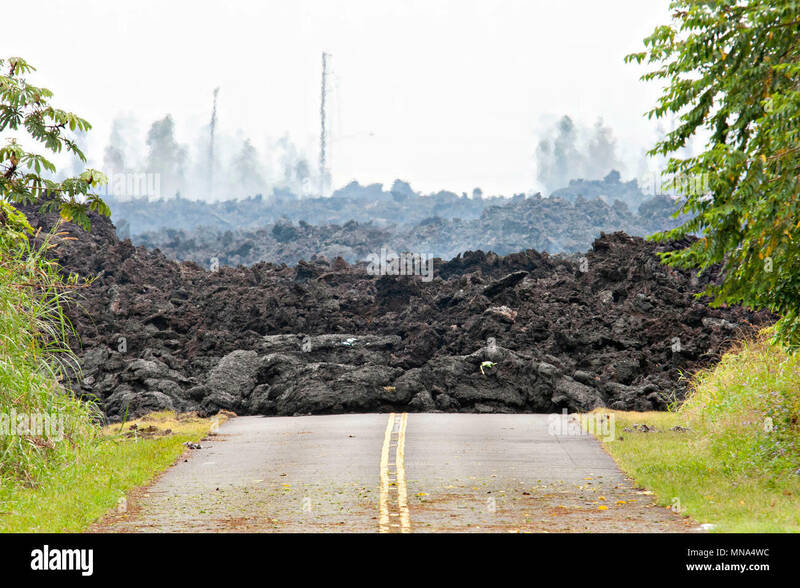 The recent eruption continues destroying homes, forcing evacuations and spewing lava and poison gas on the Big Island of Hawaii. 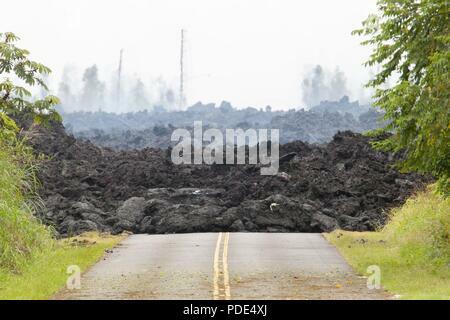 A lava roadblock covers a residential road May 12, 2018, at Leilani Estates, Pahoa, Hawaii. Members of the Hawaii Army and Air National Guard have been activated in order to assemble Task Force Hawaii, which is providing traffic assistance, presence patrols and supporting local government agencies with the volcano outbreak relief effort.